The Dog Dad. By not being in a kennel or boarding facility, you will also have the satisfaction of knowing that they are in their own safe and familiar environment that they know and are comfortable with. I work with various rescue groups and am a member of the ASPCA, and Pet Sitters International. I am trained and certified in Pet C.P.R. and am dedicated to giving your pet the utmost care, love, and attention that they so deserve. 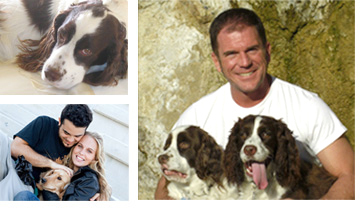 Service includes daily dog walking and pet care for people who are in or out of town. Also includes: Feeding, Walking, Waste Clean Up, Off Leash Exercising, Park Outings. Cat and House Sitting, Doggie Day Trips, And Care For Other Types Of Pets. ~ PLUS Plant Watering, Lights on/off, Mail Retrieval... all the things that bring you the comfort of knowing your home and pets are cared for while you are away!